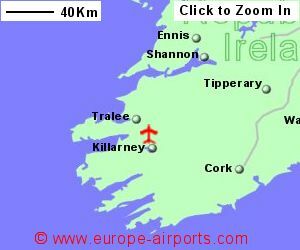 A bus service runs from the airport to Tralee, Killarney and Limerick. The nearest train station is a 10 minute walk from the terminal building. Short term parking is located adjacent to the terminal building and long term parking is within walking distance. 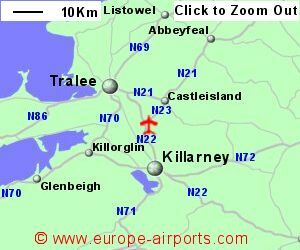 Kerry airport has a bar/restaurant, shop, currency exchange facility, and free WiFi Internet access. Passenger throughput was 325,000 in 2016, an increse of 6% from the previous year.